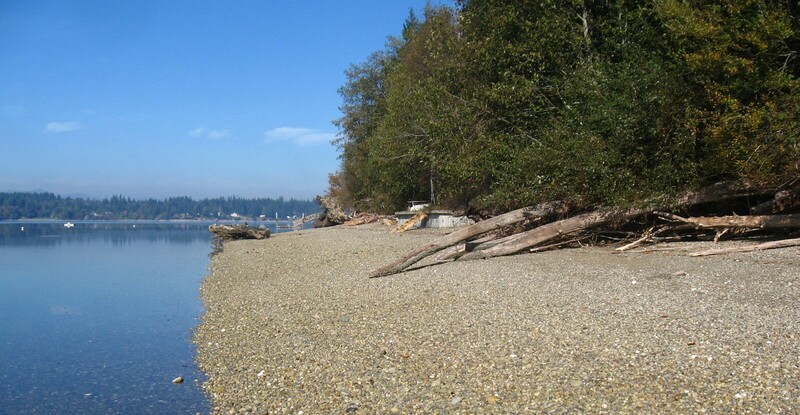 11 acres located along eastern Eld Inlet on Cooper Point in northern Thurston County. The easement conserves marine shorelines, bluffs and tidelands, as well as mixed conifer and deciduous upland forests, through which flows an unnamed stream. The marine shoreline and bluffs provide habitat for shellfish, salmonids and forage fish, great blue heron, bald eagle, cormorant, pigeon guillemot and surf scoter. The upland forest provides habitat for a variety of birds including pileated woodpecker, junco, chickadee and other songbirds, and mammals such as deer, raccoon and Douglas squirrel.